While I believe my fur is flawless, there are imperfections under that fur (hard to believe) that it takes a super techie device to analyze and to help me understand if my La Mer cream is REALLY working for me. Oh the horror if it isn’t! 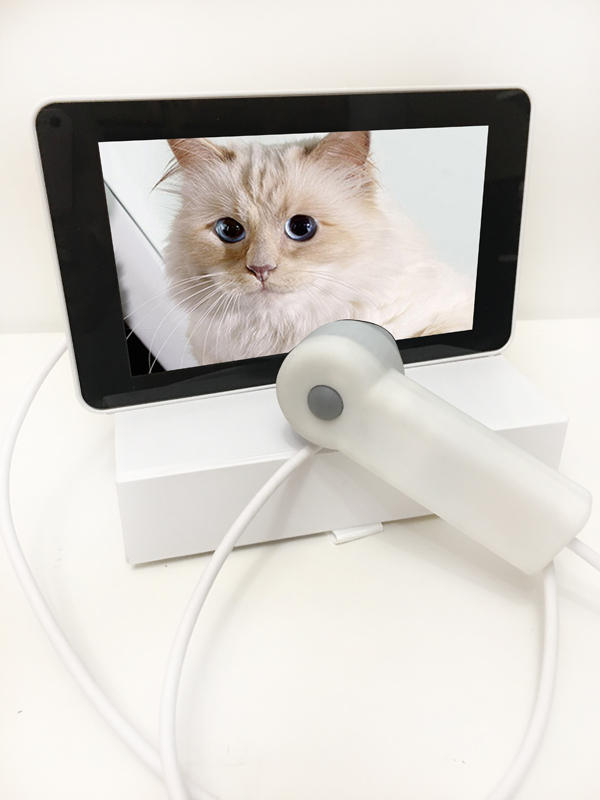 Trendstop, the leading trend forecasting company, has named Solomomo™ Smart Mirror as the winner of the Retail Store Innovation Award for 2017-2018 and according to WWD, “technopreneurs” Eric and Cindy Engstrom are “empowering the beauty consumer.” So what is this press-worthy device? The Solomomo Home offers a specialized attachment called the Skin Wand which evaluates 15 different aspects about the skin for a modern approach to personal skin analysis and skincare. These empowering insights can help tailor product choices and influence behaviors. Solomomo Home Health System also offers high tech grooming capabilities with each of its tweezers, clippers, and trimmers. Integrated into these tools are cameras that provide microscopic viewpoints to illuminate and broadcast the live image on the dedicated screen. The Solomomo Home Health System attachments are each sold separately allowing the perfect custom mix for you. Now, it’s your chance dahhlings to understand your skin conditions and help find “product-problem solutions” for the preorder price of only $99 (Original Retail Value $199). Thank you to Solomomo for partnering with moi on this post!